ADS Winter Festival 2010. Image courtesy of reader Liz. I’m a recent convert to the world of ballroom. I’ll admit to having been wary of it, thinking it was Prissy With Sequins and only for people who conform–not only with strict rules of dance, but also with standardised notions of what looks beautiful in a ballgown or suit. However, I cannot underscore enough, how surprised and delighted I have been with the reality of ballroom dancing for my child, as opposed to the stereotype I’d expected. This is not to say that other forms of dance are no good or inferior to ballroom. Professional dancers need to be across styles. Some dance schools are better than others. All styles have their place, and time-poor and cash-strapped parents have to make difficult choices. That being said, society really needs to take another look at ballroom. It’s all about socialisation (or socialization, if you’re American). If I had my way, it’d be made compulsory in Sports & Personal Education at least in primary school (acknowledging that it might be difficult to get some high school students to do anything, let alone dance. I have sympathy for teachers.) Not everyone can give their kids private classes, so instead of more tunnel-ball and t-ball, why not a term of partnered dancing? It’s a tragedy that whole generations of children are growing up into people who don’t know how to dance with other people, but rather, copying aggressive music videos, dance against others. Life is a fight, seems to be the message. Dance which draws inspiration from gang wars, sweaty poles and domestic violence has its own place as a form of artistic expression, but it’s concerning that it’s taking over as the only form of dance expression that many people understand. Agro is the new cool. * there is no back row – everyone is front and centre when performing. Ballroom students don’t do concerts–they do medals (tests) periodically and competitions (if and when they’re ready). The great thing about the tests and comps is that parents and guests are watching them–the kids are not taken away to a locked room down a corridor to face an examiner or panel of examiners, alone. Through and through, ballroom is a collaborative effort and is inclusive rather than exclusive. After the medal tests, there’s supper and everyone gets up to dance (if they want to). There are children (and adults) of all shapes and sizes, from all walks of life. People don’t typically come with partners, in fact, most don’t. Partners are arranged for medals and comps as required, if there’s no permanent partner. In terms of curriculum, I’d highly recommend that schools consider implementing some form of ballroom dance for the sake of the children and the society which they will grow up to lead. For parents who want to try something good for their kids – I say “give it a go.” For those on school committees – bring it up at the next meeting. P.S. Thanks to Blair Pettard and Natalie Perry – both awesome teachers at Perry’s Superior Ballroom. Perry’s is available for in-school lessons. Please feel free to add your own comments or experiences and let us know if there’s a great ballroom dance school in your area. Check out some gorgeous pics by Brock McFadzean. I agree with you. We learned at school – I am 57 – and even though we weren’t thrilled about holding hands with boys, it was fun. I have learned dancing at various times in my life and have loved attending classes. The big problem is that so few men in Australia can dance. My husband dances like an uncordinated stick and hates to dance. We have a house in Italy and I spend a far bit of time there. In Italy most people can dance. It is delightful to watch men dancing lovingly with their wives, children dancing with their parents etc. If men only knew how appealing to women it is to have good dance partner they might try a bit harder. Everyone should know how to dance. Thanks for the comment! You’re right – men (and boys) who know how to dance do have an advantage! I totally agree, which is why both of my kids are in it. 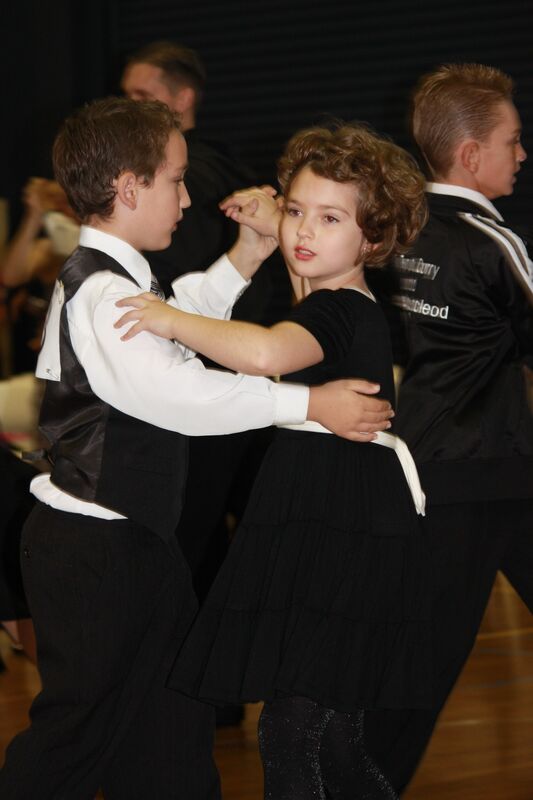 There is a business that teaches ballroom into Aussie schools – Dance Fever. More guys should get into the sport. There are plenty of partners waiting, and yes dancing is definitely an advantage.